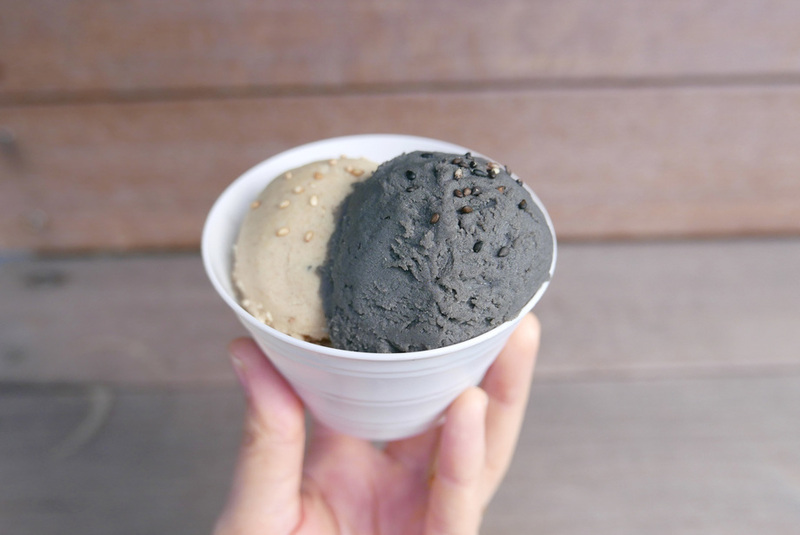 Famed with serving the world’s richest Sesame Ice Cream, Gomaya Kuki is a relatively new ice cream shop on the block, but has the edge to stick around. Focusing on sesame flavours including black and white, they use sesame from the Kiku Sangyo Sesame house in Mie prefecture. You can try different levels of richness for both black and white sesame and also interesting options like Sesame Salt. You can try a two-flavour set for 500yen.